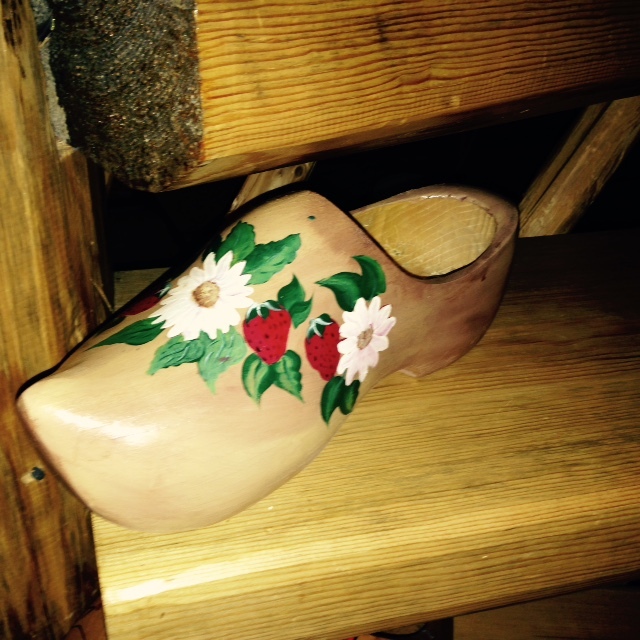 Last night as I climbed the stairs to go to bed something caught my eye… a wooden shoe on the stairway! Now that shouldn’t have surprised me, I have several pairs on the steps except that it was not a pair, it was a single shoe! How did one shoe get there? Did the matching shoe fall? Sometimes I hear noises in the night! I turned around and went back down the steps to find the fallen shoe. I even looked under the stairs! Then I looked at the shoe. It wasn’t our shoe! Where did this shoe come from? 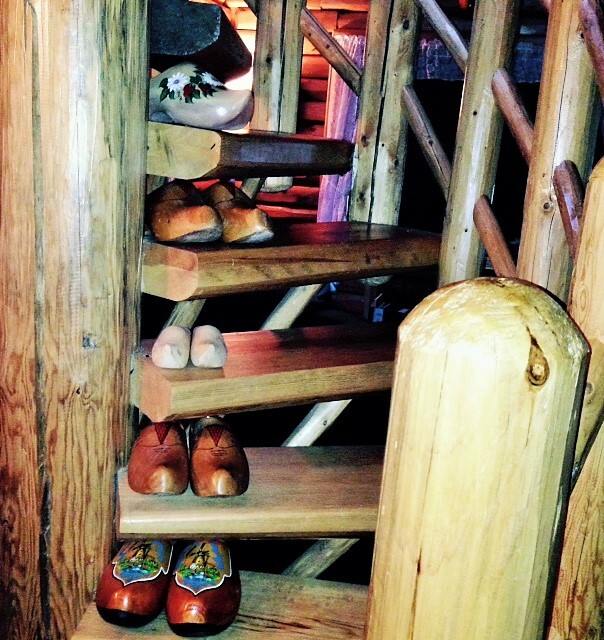 When Jerry and I went to The Netherlands a few years ago we visited a wooden shoe factory. It was so interesting! Before we left the factory we practically bought out the gift shop! We brought clogs home to all our grandchildren and for ourselves! What do you do with wooden shoes? I lined our spiral staircase. The mystery clog is at the top. Jerry finally told me our friend, Creston, brought it last evening when our small group met. He set it on the steps when I wasn’t looking! So the mystery is solved! This entry was posted in Creston, Friend, Me, Memories, Michigan, Reminiscing, The Netherlands, Travel and tagged Creston, Fun, Me, Memories, Michigan, The Netherlands, Travel, Wooden Shoes. Bookmark the permalink. You have a lovely collection of wooden shoes. I hope they’re not a safety hazard on the stairs – ha! What a nice surprise! I bet it drove you crazy all night trying to figure it out.